Wedding playing cards can be printed in 1 - 4 colors or they can be foil stamped. From a simple one color monogram to a full color photo – wedding decks can now run the gamut of design – created seamlessly to fit in with your wedding decor or theme. 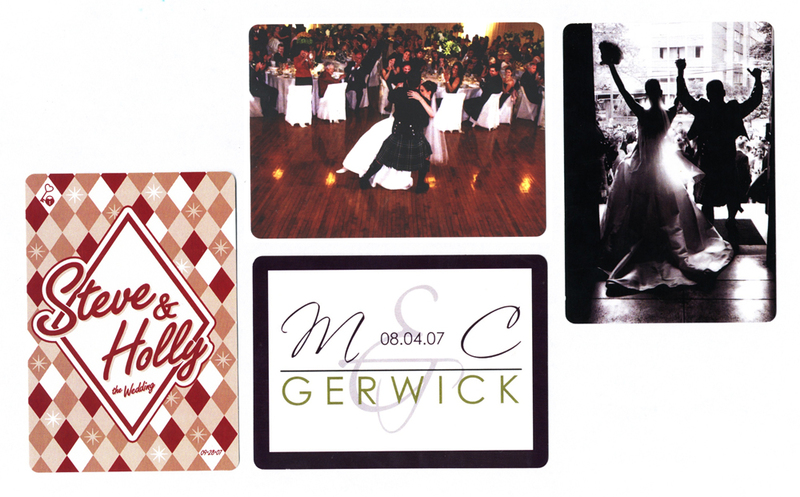 Our staff has created thousands of custom wedding decks and would be happy to provide a proof for you at no charge. The wedding cards shown here are all printed in 1 through full (4) color.